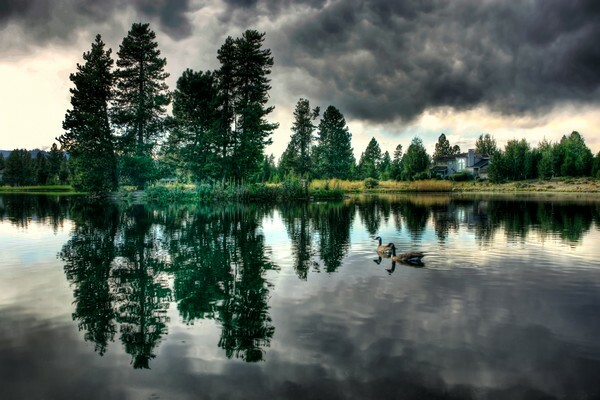 Ducks in a pond before a lightning storm in Central Oregon. An Awesome and a Mesmerizing picture. You are a truely gifted photographer. Taut.- Nourished.- reveals the efforts on achievements and superation, overcomes the need to give testimony of the hours of sacrifice and the number of the density of the love for the Art. Glad this appeared in the Pic of the Day gallery. You caught a very dramatic moment before the storm, and you were still able to coax the last bit of blue sky and rich green colors out of the scene. Very nicely done.